By installing impact doors you not only get the safety benefits, but also financial benefits as well. In addition, many consumers can sometimes forget about the aesthetic improvements that they will receive by installing impact resistant doors around their home. There is no question that you and your family will feel a lot safer once you have hurricane doors installed, whether it is for French doors, sliding glass doors or garage doors that are excellent for safeguarding your house. By installing impact front doors you can make the style of your home match your personality, as well as let your home stand out from your Miami-Dade County neighbors. The average homeowner does not move often and most of them stay in their home for decades, which makes remodeling projects very popular. Custom storm doors such as impact sliding glass doors, is an excellent way for you to refresh both the interior and exterior of your house, which can make it feel brand new again. And since we live in South Florida, then you know the humidity and heat can take a beating on your home, so periodic updates to your doors and windows are necessary over time. There are a few attributes that should be considered when updating your home with hurricane proof front doors, such as the style, architecture and location of your property. For example, a luxury home on the intercostal should have storm resistant doors with impact glass that is not just durable, but grand, to capture as much of the outside water view as possible, while at the same time offering ultraviolet ray protection from the sun. Now if you have a Spanish style home, then a custom storm door can help to enhance the modernistic Latin feel and warmth of your home. With all the options that are available today for impact resistant front doors and impact resistant sliding glass doors, you are only limited by your imagination when it comes to remodeling your home. 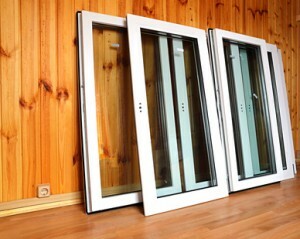 We have PGT Doors and other door lines from all the top manufacturers. Give us a call today at 305-504-8264.